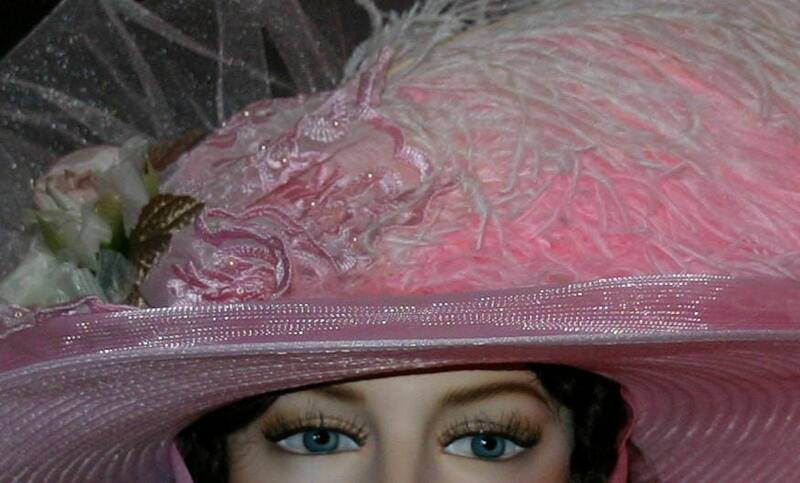 "Mademoiselle Aubrienne " is made of pink faux horsehair and the brim measures a full 18 inches in diameter. 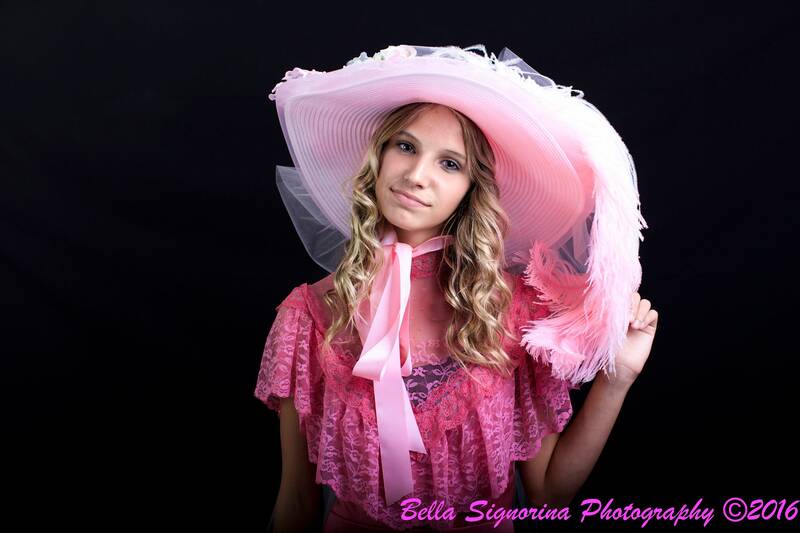 It would look beautiful for that special tea party, church, wedding or Easter! 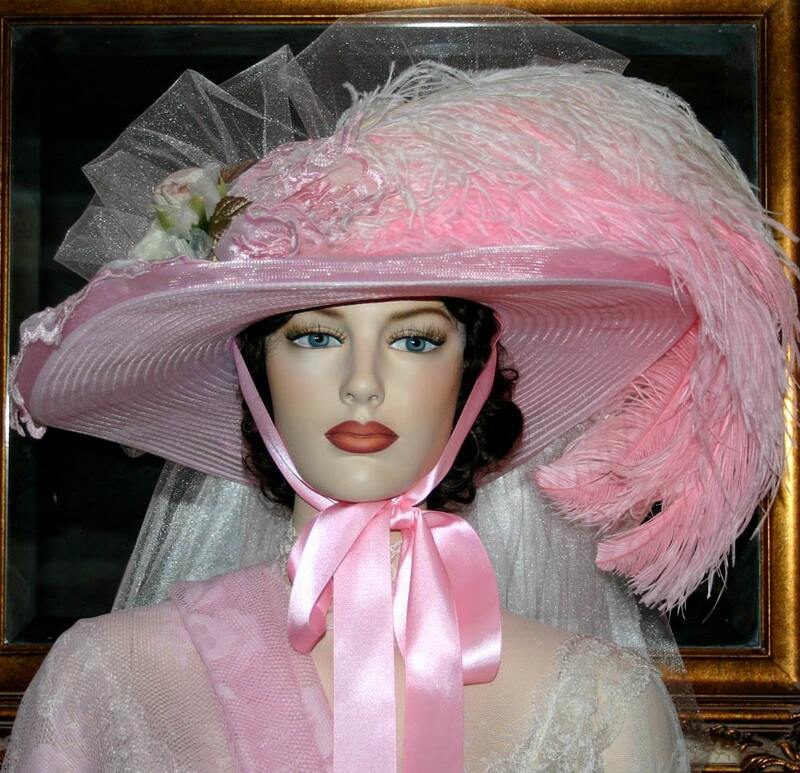 It's adorned with 5 gorgeous organza and silk millinery rose buds in a shade of pale pink and delicate pink organza lace around the crown as well as the rosette behind the rose. 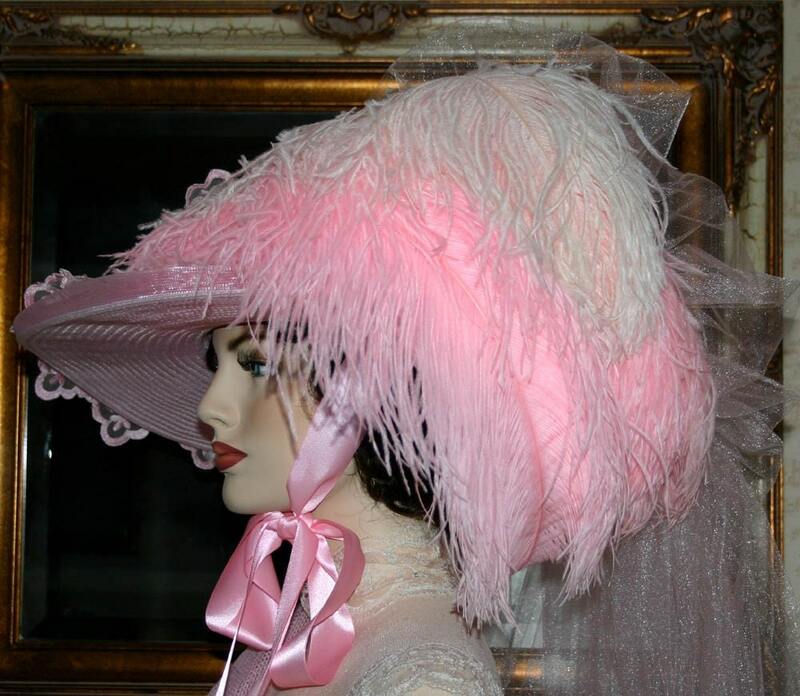 There's luscious pink ostrich feathers accented with ivory ostrich plumes sweeping across the front and side of the hat. 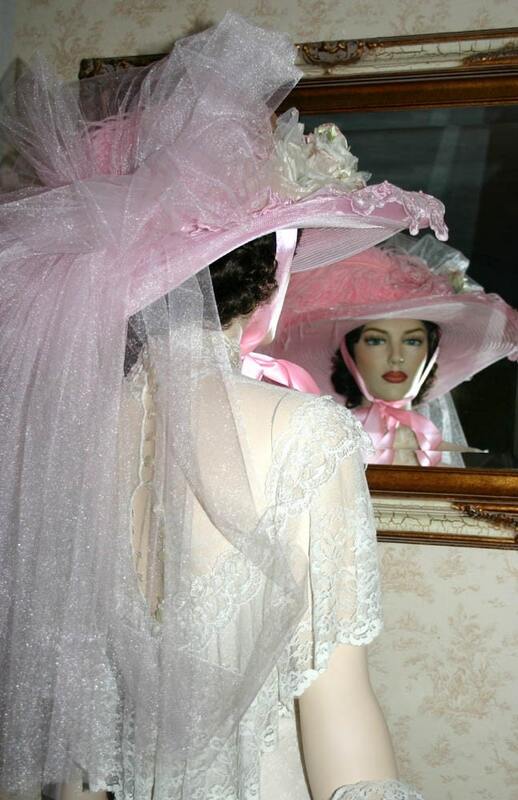 The bow is made from sparkling pink bridal tulle. Pink Satin ribbons tie under the chin. VERY ELEGANT! 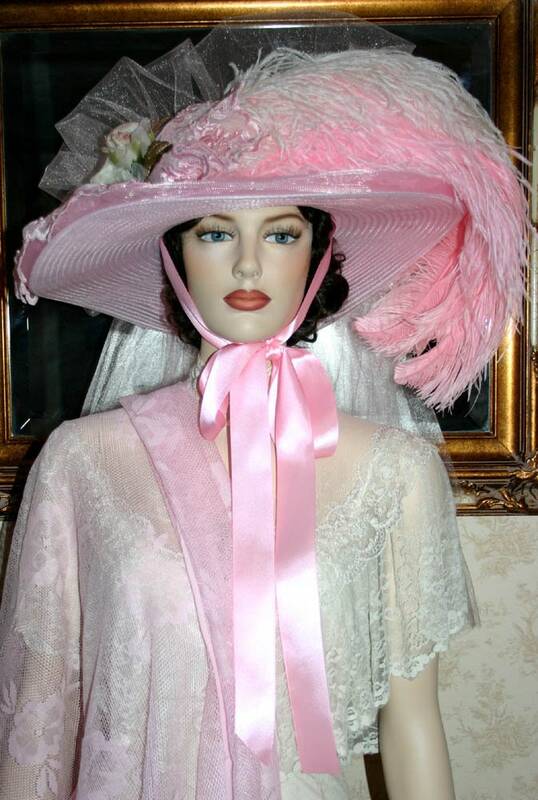 It would make a perfect Somewhere in Time hat for that special Somewhere in Time Weekend event held in October at Mackinac Island. A sophisticated design and perfect many occasions!